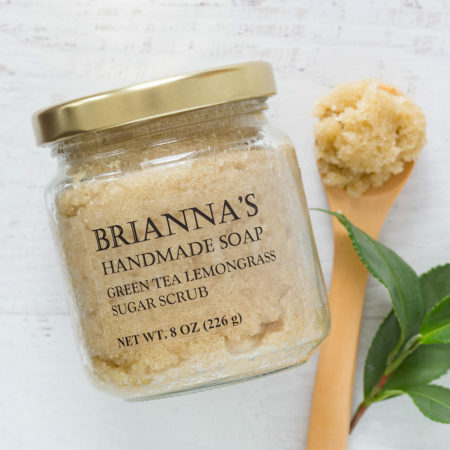 This Green Tea Lemongrass sugar scrub uses organic free-trade cane sugar to naturally smooth and polish skin leaving a lustrous clean glow. It accelerates skin renewal by removing dead skin cells revealing an even skin tone. 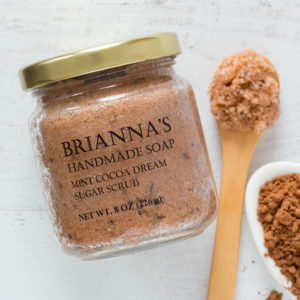 Cane sugar has smaller granules that dissolve in warm water making this scrub gentle enough even for your face. A base of organic coconut oil soothes and moisturizes leaving skin soft to the touch. Green tea contains catechins which are powerful antioxidants that reduce inflammation and damage caused by free radicals. Lemongrass not only has a calming lovely aroma, it is an excellent skin toner and fighter of acne. 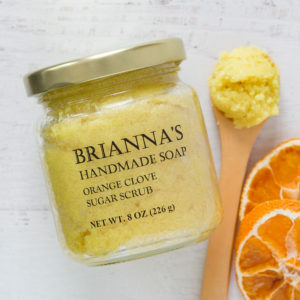 I love the smell of this scrub! It is so nice, fresh and uplifting in a way. I think it feels great on my skin and makes it feel great as well ^_^ so happy with my choice.